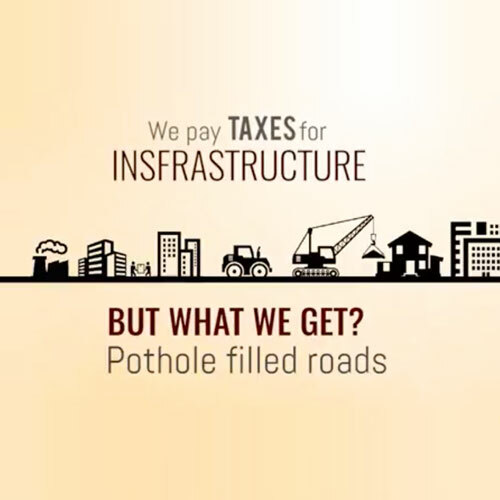 Taxpayers Association of Bharat (TAXAB) is an independent advocacy group of conscious, responsible, law abiding citizens, who want to actively contribute to the nation-building process by leveraging the voice of common tax payer of the country. As a representative body of the taxpayers, TAXAB has emerged as a powerful voice to reach out to the government with citizenship concerns in general and efficient usage of taxpayer money in particular. At the core of this movement is the demand for Population Control Law in Country due to the rise of Overpopulation in India. Our members pledge their allegiance to the nation by paying their taxes on time and what we ask directly corresponds to the welfare of Taxpayers and Development of India. TAXAB believes that a conscious citizenry ought to be comprised of people who deeply care for the nation and its well-being. This implies that we lead lives in a manner that is congruent and compliant with the country’s goals. Be it environment, natural resources, education, healthcare or infrastructure, we believe, that as responsible citizens, each of us ought to take equal responsibility and ownership in order to progress as a nation. Country’s growth story is no doubt huge and holds merit. But it has also been severely punctuated due to resource constraints. This we believe is further accentuated by a burgeoning population crisis and ultimately. Manifold increase in number of mouths to feed and lives to sustain has meant acute stress on natural resources, fractured development and a country far from realizing its potential. TAXAB believes that it is not an either/or situation. Given the mammoth proportion of the problem that stares the nation in its face, it is time to consider both options in the calibrated measure as this could have inverse implications towards the welfare of Taxpayers and Development of Country. Time has passed when we would rely on just the behavior change. The problem is too huge and its consequences are potentially devastating. Against this backdrop, Taxab has taken up the cause of Population Control and has emerged as a significant advocacy group that not just reaches out to the masses to spread awareness about the problem we would be facing due to absence of Laws for Population Control in India. It is time we wake up and take control, for this nation is too precious and we cannot let this gangrene in the garb of a booming population consume us.